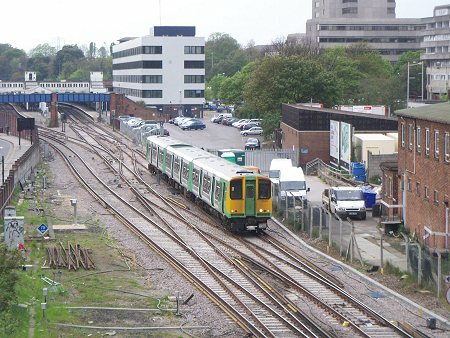 Built for Hertfordshire, but extending further into Hampshire, the class 313 made its passenger debut at Southampton (and Eastleigh) on the 16th April 2011. This was due to the line between Barnham and Arundel Junction being closed for engineering work. 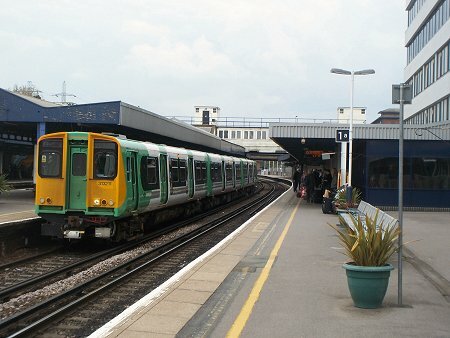 Among the units diagrammed to work the service between Barnham and Southampton were 313209 and 313211. The use of this class was curious, and potentially controversial with passengers as an assurance had been given by that they would never be used for long distance Coastway services. 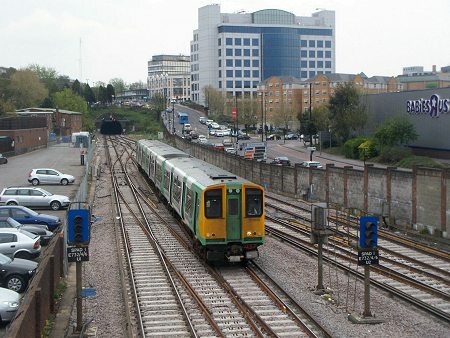 There was no shortage of class 377s available and the explanation subsequently given was they were used for "testing". All photographs are by "GB". 313209 arriving at Southampton on the 12:17 from Barnham. 313211 awaiting departure from Southampton on the 13:13 to Barnham. 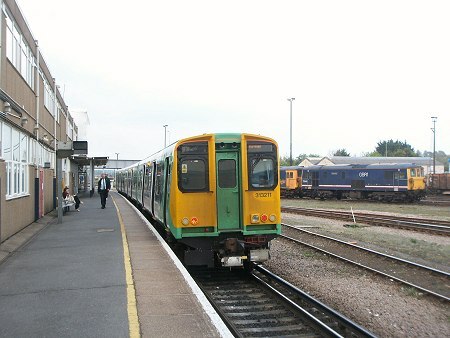 313211 at Eastleigh, on the 15:17 from Barnham. This was running in the schedule of the 14:33 from Brighton, which is booked via Eastleigh. The driver is walking along the platform, changing ends. Note GB Railfreight Electro Diesels 73141 and 73206 are in the yard. 313211 leaving Southampton with the 16:33 to Barnham.